Teachers are amazing at so many things. 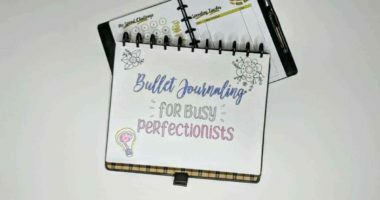 We facilitate curriculum, lead meetings, administer tests, communicate with families, and challenge students to be the best version of themselves. We counsel, mediate, inspire, even entertain. But for everything that we’re fantastic at, there’s one thing teachers don’t always excel at – money. 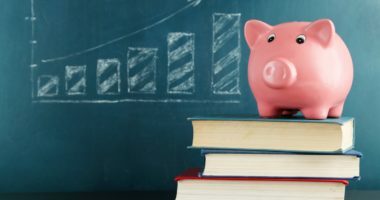 Sure, we spend tons of it on our classrooms each year, but when it comes to our personal finances, most teachers aren’t making the grade. Specifically, many teachers are uninformed or misinformed when it comes to their own retirements. And while there is certainly a lot to learn, understanding your 403(b) plan is a great place to start. If you understand how a 403(b) works, as well as the benefits and drawbacks, your retirement plan is headed to the top of the class. 403(b) versus 401(k): What’s the Difference? Should You Invest in Your 403(b)? 403(b) plans are equal parts misunderstood and overlooked. 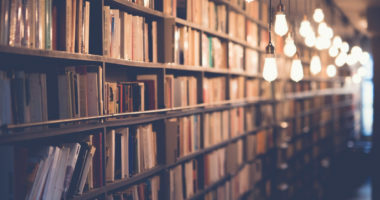 There’s a good chance when you were first hired, there was the briefest of meetings or the shortest of emails to let you know about your school district’s retirement plan options. Certainly not enough to make you feel like an expert. Fear not. 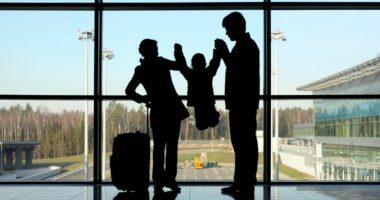 Understanding how a 403(b) works is the first step in determining if it fits into your financial plan. A 403(b) is a retirement savings account that offers tax benefits – namely a tax deduction today – to encourage you to save for your future. Contributions to a 403(b) are made directly from your paycheck, just like health insurance payments, and you can choose to contribute a certain dollar amount or percentage of your check every pay period. 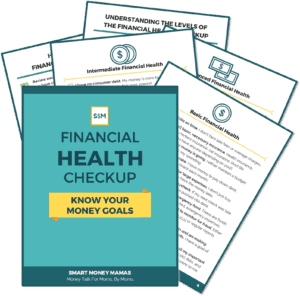 When payday rolls around, that money will be moved to your retirement account before it even has the chance to hit your bank account. Retirement savings that you can’t be tempted to spend! That’s winning. Now, if you or your spouse has ever had a 401(k), this might sound familiar. But while a 403(b) serves the same function as a 401(k) there are crucial differences you should understand. While 403(b)s and 401(k)s may look like fraternal twins, they’re more like distant relatives. A 403(b) is a retirement option that is only available to public school workers, certain nonprofit organizations, ministers, and select other individuals. 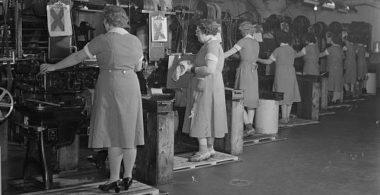 Like a 401(k), a 403(b) is an employer-sponsored plan. That means the only way to open one is if your job offers it. You can’t just open one yourself like you can a savings account or an IRA. Unlike a 401(k), there are fewer 403(b) plan vendors which means fewer options from districts to choose from. Vendors include companies such as VALIC, AXA, or Fidelity. Your district will choose one or more vendors for their staff and you can only open a 403(b) through those providers. In addition, your district determines whether the money in your 403(b) can be invested in mutual funds, annuities, or both. Most importantly, 403(b) plans are not regulated the same way that 401(k) plans are. 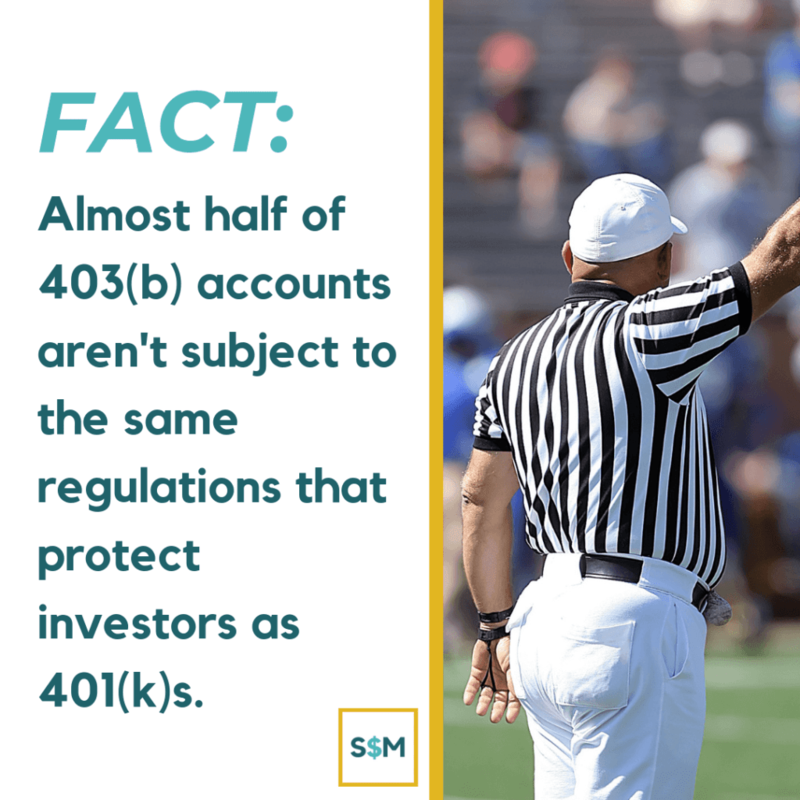 Though there are federal retirement plan rules, almost half of the money in 403(b) investments – nearly $880 billion – is not regulated by those rules. That means it is vital for teachers to understand both the benefits and the possible drawbacks for their 403(b) plans. RELATED CONTENT: Mutual Fund 101: What Is A Mutual Fund? There are two important reasons to invest in a 403(b) account: today and tomorrow. It sounds corny, but it is an important consideration to make. 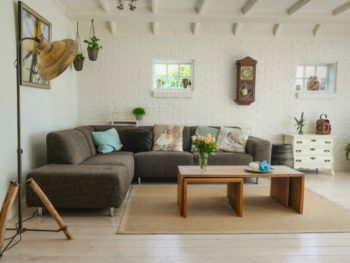 There are tax benefits that can be of huge value to you now, and then there is unbeatable peace of mind knowing you have a retirement nest egg down the road. Your 403(b) plan is funded through salary deductions. To use a fancier term, you are making a deferral with each deposit into your 403(b) account. These deferrals lower the amount of income tax that you pay at tax time during the current year because 403(b) contributions are deductible for federal income tax purposes. For 2019, you can contribute up to $18,500 per year, which can lead to considerable tax savings. If you are older than 50, you can contribute $6,000 more dollars to “catch-up” your contributions. While maxing out your contribution limits isn’t easy, even small contributions save you money on your taxes. And large ones can even adjust your marginal tax bracket. These numbers can seem colossal when you are just getting started. Not only do you have the ability to adjust your contribution amount, there typically isn’t a minimum. If you are just looking to get your feet wet, you could start by sending $50 a paycheck to a 403(b) and then adjust from there. 403(b) plans aren’t like a traditional savings account or burying your money in the backyard. Instead, you can invest in mutual funds, which can yield a much higher return over the long-term than a typical savings account that barely keeps up with inflation. More importantly, though, as the money in your 403(b) grows, you don’t pay taxes on gains. 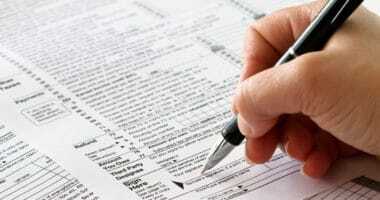 Year-to-year, you won’t add interest earnings, dividends, or capital gains to your tax bill. Of course, the tax man does eventually come calling. But you pay income taxes on your 403(b) when you collect distributions in retirement. And many people find themselves in a lower tax bracket in retirement than they are in today. But the person who started in Year 5 has more than the person who doesn’t start until Year 10. Where ever you are, start saving! 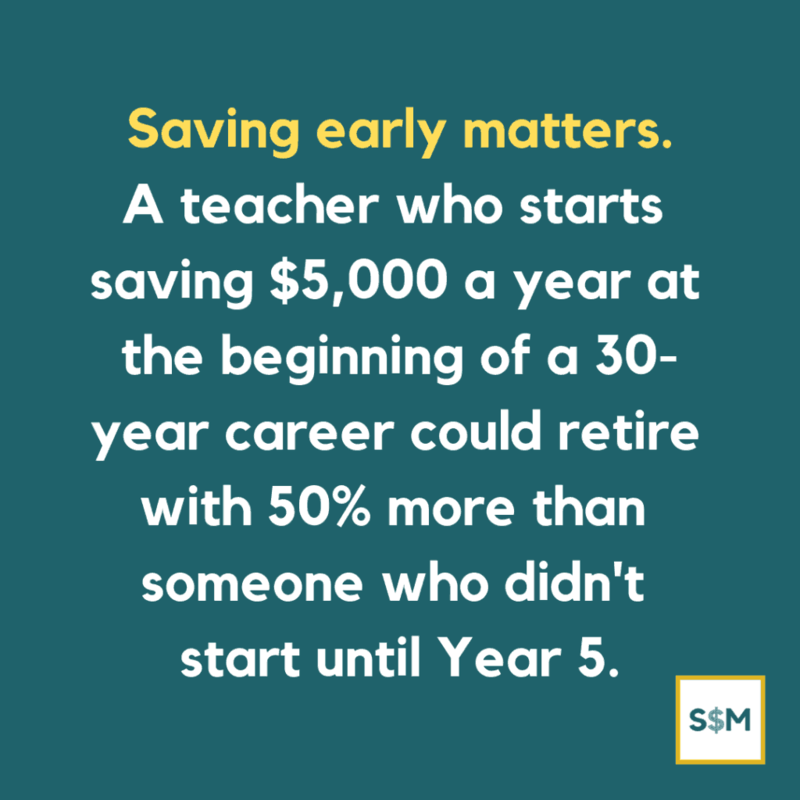 In an era when public school teachers understand that pension reform is a euphemism for a disappearing act, it is important to have a nest egg later in life. 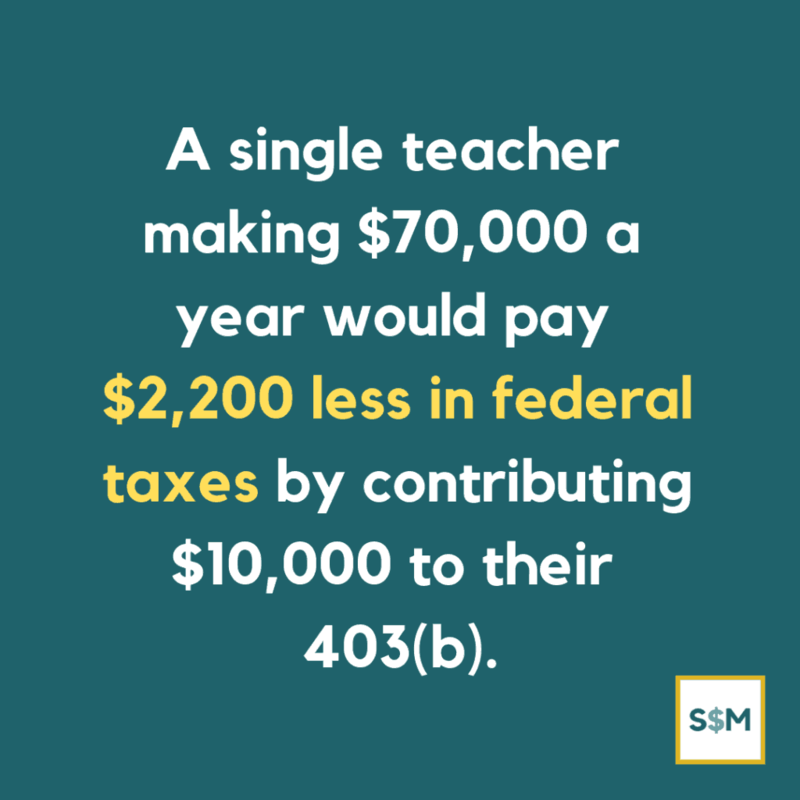 And remember, many teachers do not pay into Social Security. If you don’t, you also won’t be able to collect that in retirement. You need to be saving for the future! But, should you find yourself in a position where you have a pension or Social Security (or both! ), having access to money in a 403(b) will still add some extra sparkle to your golden years. There is no denying the fact that 403(b) plans can play a vital role in planning for your retirement from teaching. However, there are two significant drawbacks that you need to consider before opening an account. 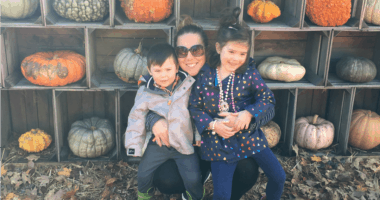 Many teachers find themselves confronted with 403(b) plans that are bloated with high fees or that offer very limited options. Many 403(b) plans come with high fees that investors unknowingly pay because the fine print can be very difficult to navigate. Losing 1% or 2% doesn’t sound like much when it comes to a test or quiz score, but when it comes to your money, that is actually a significant loss. In fact, a portfolio that is subject to a 1% fee for twenty years, could have up to $30,000 less in it. That’s like missing an entire year’s worth of pay for some teachers! In addition to these high fees, 403(b) plans can also come with surrender charges. A surrender charge is basically a penalty that you will pay if you move your money before a set number of years. That means if you want to change your investment plan for any reason, you could be penalized for doing so. Some groups are working to change this but the process is slow. 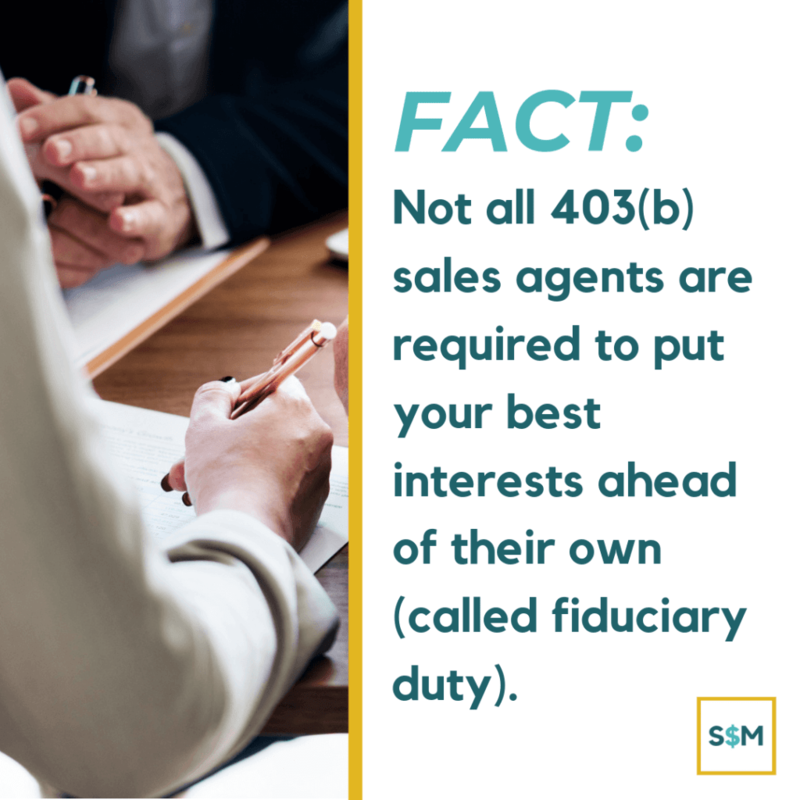 Whenever speaking to a sales representative from your 403(b), ask if they are under fiduciary duty. If not, be sure to ask about their compensation structure. 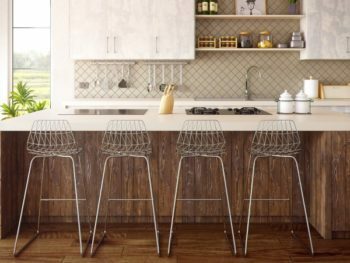 Depending on the size of your school district and the money savvy of your coworkers, you can find yourself with a vast array of options… or next to none. This means that you could find yourself with very limited options in terms of vendors and products. Think of the vendor as the company or group who sponsors the product. They might be names you recognize like Vanguard or Fidelity. 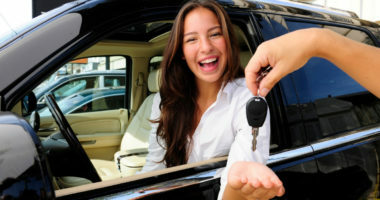 However, they are more likely to be companies that sell insurance products. The products are what you can invest in. In this case, your options will likely variable and fixed annuities and hopefully also mutual funds. Variable and fixed annuities tend to come with very high fees and lower returns than index-based mutual funds. Alternatively, mutual funds are invested in a pool of stocks and/or bonds and generally have lower costs. The more options you have, the more likely you are to have access to a low-cost fund without any surrender fees. If you don’t have any good options, many districts do respond to calls for change. However, your business office or human resources department is likely to tell you that there needs to be 10, 20, or even more individuals interested in the proposed option before they pursue it. Change is possible, but like many things, it moves slowly. Even with the largest selection of vendors, 403(b) plans can still be limiting. If you are looking to invest in individual bonds, individual stocks, or real estate, you won’t have that option with a 403(b). So let’s get to the crucial question. 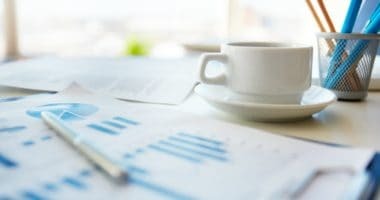 Should you invest in your 403(b)? I know, I know. That doesn’t help. But here’s what you need to consider. The tax savings benefits of a 403(b) can be significant if you’re saving large amounts, both now and in retirement. But high fees and limited options can make it less attractive, especially at lower savings rates. 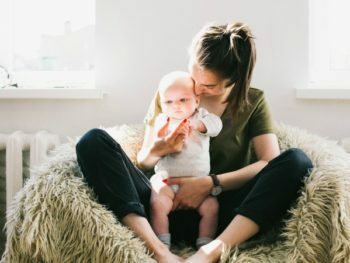 If you’re new to saving for retirement and putting away less than $5,500 a year, you can get the same tax benefits, lower fees, and more options by opening your own Traditional or Roth IRA (Individual Retirement Account). 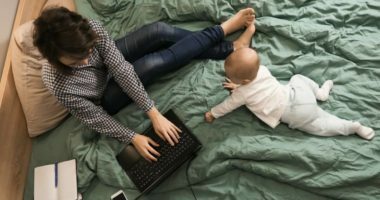 You won’t be able to make contributions directly from your paycheck, so you’ll add an extra step, but potentially save yourself a ton of money. Your district offers a contribution match. Don’t give up free money! You’ve already maxed out your IRA or have a 403(b) with good low-fee options. You know yourself well enough to recognize that if your retirement savings doesn’t come right out of your check, you’ll probably never do it. Out of sight, out of mind is a powerful tool. Your district only offers high-fee plans or limited options and you would rather have the increased flexibility of an IRA. Your plan only offers annuities and you want to invest in mutual funds, ETFs, or individual stocks and bonds. You need to save for your retirement. And the earlier you start the better. A 403(b) offers current tax advantages and future savings, making it a good option to set yourself up for truly golden golden-years. But these plans do come with their drawbacks and vary widely based on location, grade level (primary, secondary, and post-secondary education.) 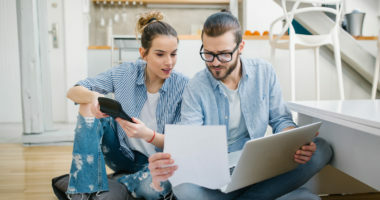 Since high fees, limited options, and potential penalties for changing your investment plan can add up, it is important to carefully examine the details of your plan and understand the costs. 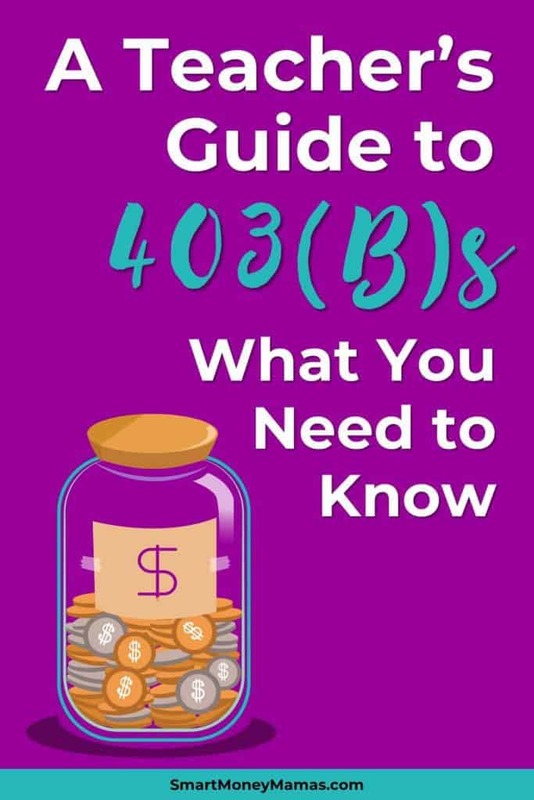 If you’re ready to start investing in your 403(b), you can choose small contributions per pay period and inch them up over time. Before you know it, you’ll be ready to ace your retirement. Do you contribute to your 403(b)? Why or why not? Share your thoughts in the comments! Hi, I'm Penny! 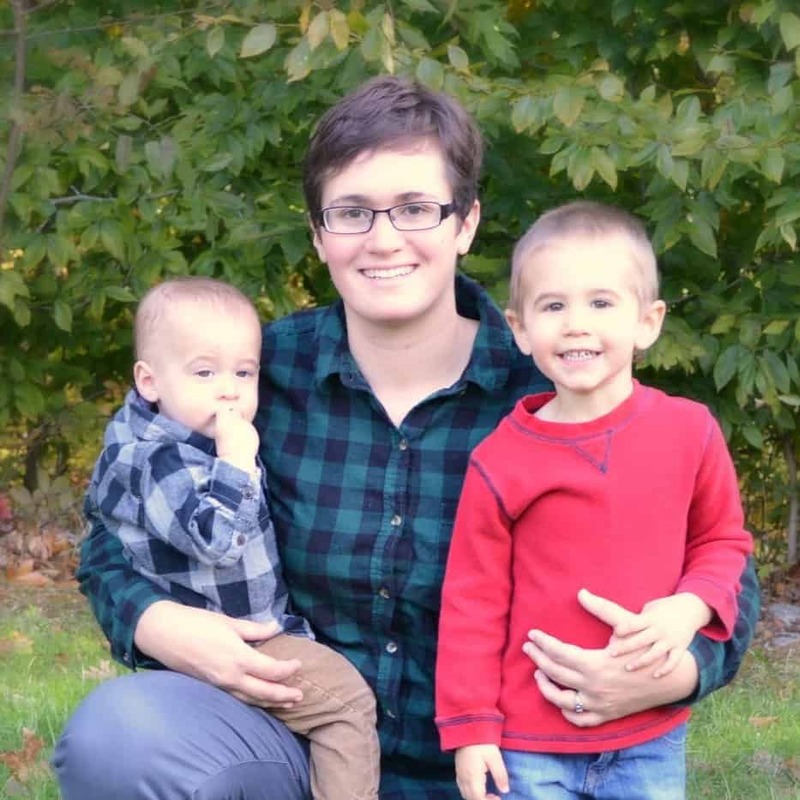 I'm a married millennial teacher who is on a quest to pay off six-figures of debt while working a job I love. 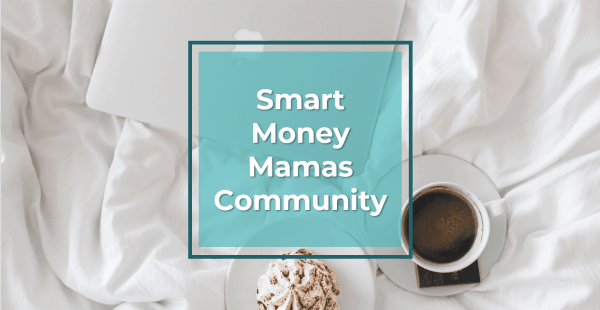 On Smart Money Mamas and on my site, She Picks Up Pennies, I write about purposeful spending, side hustling, frugally-awkward moments, and other adventures with my son. This is very helpful for the teachers in my life! Question, I know that there are limits to whether you can contribute to a TRAD IRA if you’re already covered by a 401k thru work. Is this the same with the 403b? Thank! You can’t contribute to a Traditional IRA and get the tax benefits if you are an active contributor to a 403b, but if you have not contributed, you are still eligible. If income eligible, you can contribute to a Roth either way. Hope that helps! Most teachers I know will pursue Roths instead of traditional IRAs because of pensions. Our income should *in theory* be higher in retirement than it is for most of our working years.